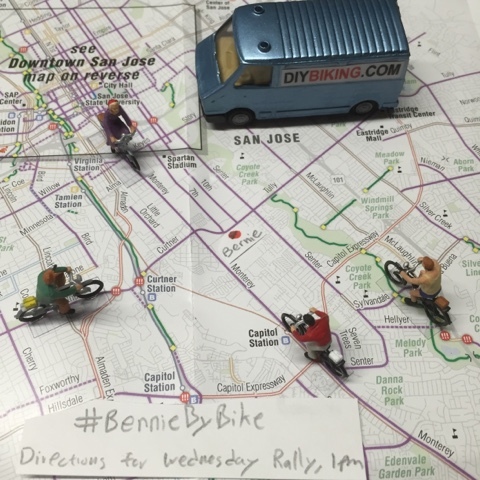 DIY Biking | How bike builds, bike travel and bike life can save the world: Welcome to San Jose, Bernie! Let's Go Biking! I just learned from the San Jose Mercury News that Bernie Sanders is doing a rally tomorrow (Wednesday) at 1pm at the Santa Clara County Fairgrounds in Tully Road. Also for the rally attendees: the SCCF is easily bikeable so I will use those Thirteen Words: If you have a bike and can ride it safely, please ride it. If you're biking you can head south on Monterrey Boulevard and take a left on Tully (both roads are very busy but have bike lanes) or come via bike and VTA by getting off the Alum Rock/Santa Teresa light rail at Curtner and just follow Curtner all the way. 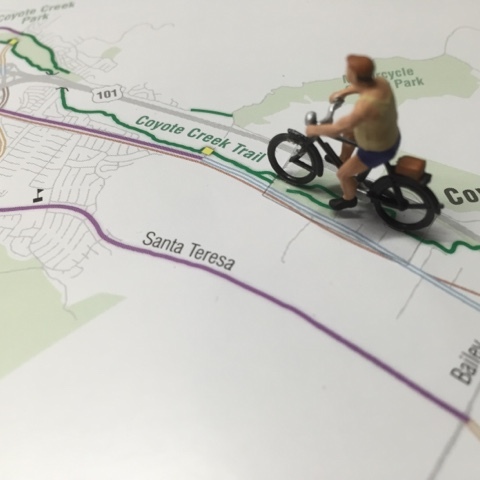 If coming from the south, you can use Monterrey Boulevard or the Coyote Creek Trail to get to Tully. I'm not sure what the bike parking situation will be there but will add more if I find anything out. Use the hashtag #BernieByBike to talk with other cycling friends and encourage them to ride as well. And if you see Bernie, tell him you want to see him on a bike - preferably a DIYBIKING.COM exclusive. Have fun at the rally. #FeelTheBern - Save on Parking. Thanks for reading and thanks for riding.